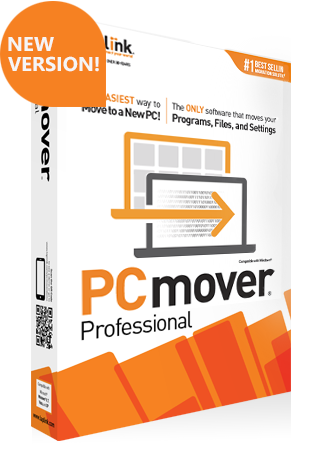 PCmover Professional can migrate applications, files, settings and user profiles from an old PC or harddrive, to a new computer. PCmover Pro is an excellent tool for individuals with a new home PC, technicians looking to shorten service time, and small to medium size businesses looking for an affordable way to migrate their data to a new computer or upgrade to the latest Operating System. – Network Transfers: Wi-Fi, Ethernet, or both! Works through a router or network switch! – PCmover Transfer File: Places all of your data onto 1 file that you unload onto your new PC! Click here for a video tutorial of this process. 5. Customize transfer or move everything by default! – PCmover Transfer File: Load all of your data into a file, then unload on new OS! – PCmover Profile Migrator: Nuff said! 6. Map Users and start transfer! Old PC not turning on? Need to restore from an Old Hard Drive? Got a new Hard drive and you want to swap the boot drive? Work with Laplink Corporate Employees 24/7! If you are having issues with your transfer, work with our Technical Support. If we can’t get your data moved over how you want it, we’ll cover your next transfer Free! You have 30 days from the time of activation to receive a refund for your purchase of PCmover. Note that we do require that you work with our Technical Support team in order to qualify for a full refund.